We've got plenty of counting activities that make learning to count into a fun experience for kids. Preparation: To practice counting by twos, number 25 index cards with the even numbers from 2 to 50. To practice counting by fives, number 20 index cards with multiplies of 5, from 5 to 100. Shuffle one set of cards. Pass them out to the players. It’s okay if not everyone has the same number of cards. If counting by twos, the player holding the 2 card pops up and says, “Two!” He sits down immediately. The player with the 4 pops up and says, “Four!” and so on. Play continues until players have reached 50, or until someone makes a mistake. If a player does not pop up when he should, the last player to give a correct number wins a point. If the group successfully reaches 50, everyone gets a point. To play another round, players randomly trade cards and start again. At the end of several rounds, the players with the most points are the winners. 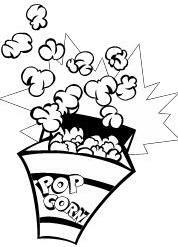 Celebrate all the good counters in your class with a popcorn party! If a group of students is completing the task rather easily, or for a whole class game, consider adding more cards so they can count by twos to 100, or by fives to 200.